ST. LOUIS (Dec. 6, 2013) – Risk management, shifting market conditions and participation in a national television program are on this year’s menu for early risers at Commodity Classic. Always a popular and eye-opening start to the day, the Early Riser sessions begin at 7:00 a.m. with complimentary coffee, breakfast pastries and energy-packed presentations. Thursday, February 27 from 7:00-8:00 a.m., Darin Newsom, Senior Analyst, DTN/The Progressive Farmer will discuss a changing market structure at a time when agriculture appears to be most vulnerable. He will highlight how supply and demand is evolving and investment is moving elsewhere, raising the question, “What will become of our industry in the future?” Newsom’s presentation, Agriculture’s Shifting Sands, is sponsored by DTN/The Progressive Farmer. Friday, February 28, from 7:00-8:30 a.m., Farm Journal Media will be producing its national television program U.S. Farm Report on-site with participation from Commodity Classic’s early risers. Host John Phipps and a panel of commodity traders and analysts will debate futures, market trends and other agricultural issues and take questions from the audience. Saturday, March 1, from 7:00-8:00 a.m., two Purdue University economists, Mike Boehlje and Elizabeth Yeager, will provide tips and techniques for planning for scenarios that can be considered “strategic risk,” such as loss of rented farmland, new environmental regulations, product contamination, loss of a buyer or technological uncertainty. This Early Riser session is sponsored by Indiana Soybean Alliance and the Center for Commercial Agriculture at Purdue University. 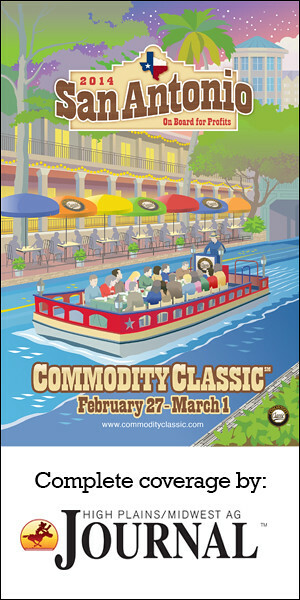 More information on the Early Riser Sessions and other events at Commodity Classic is available on the Commodity Classic website (http://www.commodityclassic.com/convention-trade-show/educational-sessions).